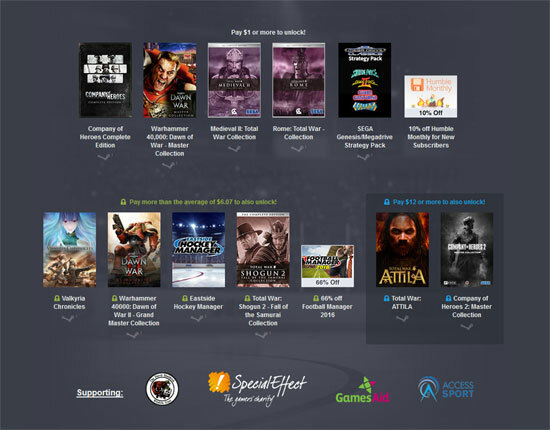 Pay $1 or more for Company of Heroes Complete Edition, Warhammer 40,000: Dawn of War – Master Collection, Medieval II: Total War Collection, Rome: Total War – Collection, SEGA Genesis/Megadrive Strategy Pack (Shining Force, Shining Force 2, Gain Ground, Columns), and a coupon for 10% off Humble Monthly for New Subscribers. Pay more than the average price to also receive Valkyria Chronicles, Warhammer 40000: Dawn of War II – Grand Master Collection, Eastside Hockey Manager, Total War: Shogun 2 – Fall of the Samurai Collection, and a coupon for 66% off Football Manager 2016 in the Humble Store. 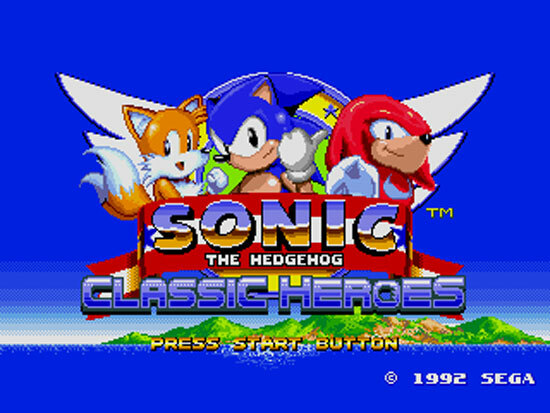 Humble Bundle SEGA! 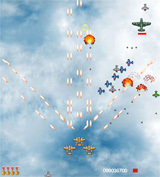 Pay $1 or more for the Dreamcast Collection (SEGA Bass Fishing, Crazy Taxi, Sonic Adventure DX Director’s Cut, and Space Channel 5 Part 2), NiGHTS Into Dreams, Sonic & All-Stars Racing Transformed, Total War: Rome II – Caesar in Gaul DLC, and the Miles Jacobson’s Tactic DLC for Football Manager 2015, and you’ll also get Empire: Total War and Company of Heroes 2 – The Western Front Armies: Oberkommando West. 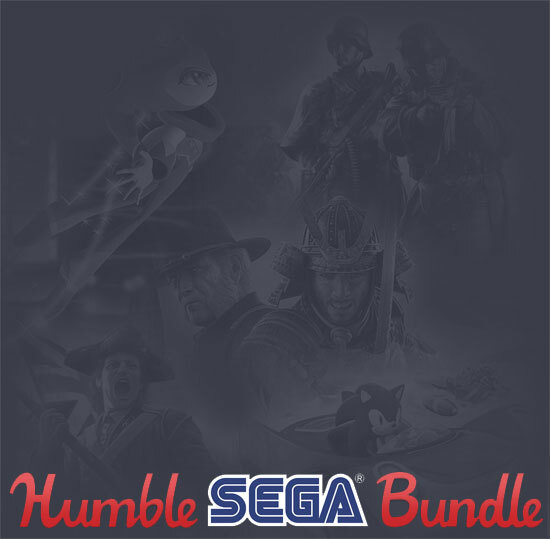 Pay $12 or more, and you’ll get all of that plus Total War: Shogun 2 – Fall of the Samurai. 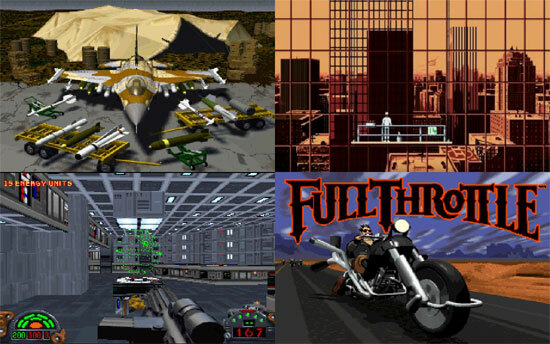 Thousands of Retro Games at the Archive.org! 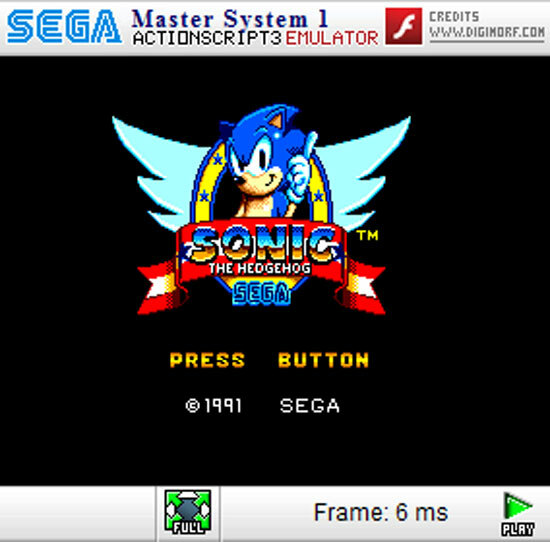 The website Archive.org has thousands of retro games for old console and computers all free to download and play! 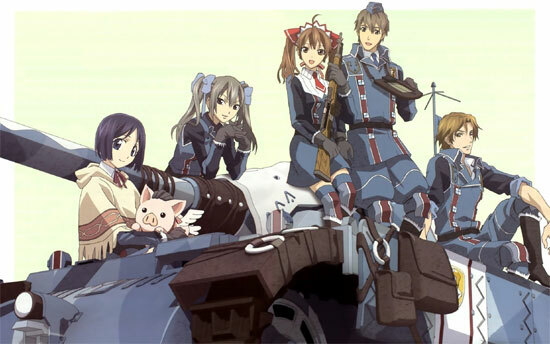 The world’s first English service of Phantasy Star Online 2 will go live on 29 May 2014 for players residing in Singapore, Thailand, Malaysia, Vietnam, Indonesia and the Philippines. Players who have activated their Beta keys will be able to access the server two days earlier on 27 May 2014. 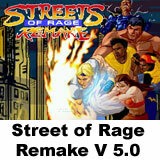 Some people managed to make various ports of the Street of Rage Remake. 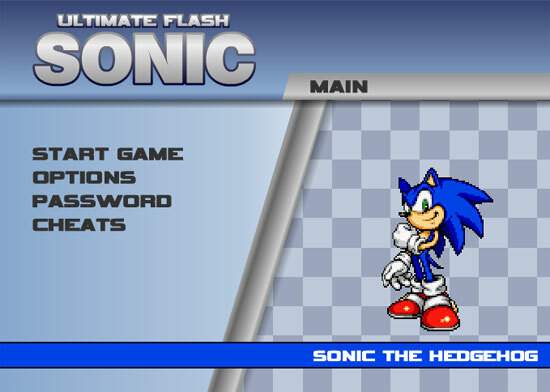 Ultimate Flash Sonic, is a flash version of Sonic made by a fan. 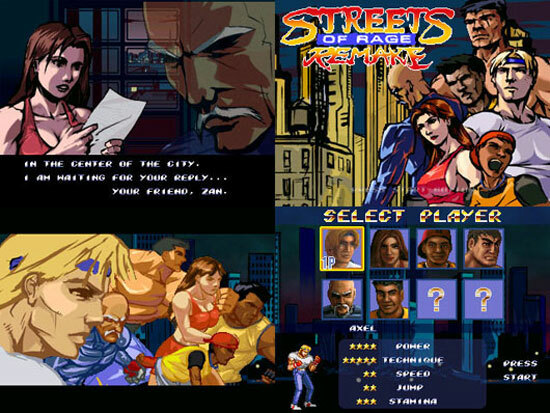 The game has 4 playable characters at the beginning and 2 secret characters to unlock.